Sometimes you just need a little more time. 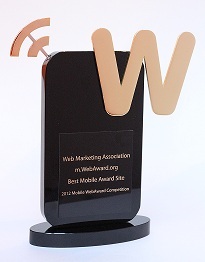 That is why we have extended the deadline to enter the Web Marketing Association‘s 5th annual international MobileWebAward competition. While we finalize the entries that have been submitted, you have the chance to enter your best responsive or adaptive website or mobile app to win glory for yourself, your team and your organization. If you’ve already entered, October 14th is also the final day you can edit your entry before it is sent to the expert judges. This award program is an opportunity for mobile developers to demonstrate their expertise in this growing medium. It recognizes the individual and team achievements of Web professionals all over the world who create and maintain outstanding responsive & mobile websites and mobile applications. Indiana Interactive, LLC won Best of Show Mobile Application for DNR iPhone Application, which also was awarded Best Travel Mobile Application. This free application contains a variety of useful information on Indiana’s state parks, forests, nature preserves, fish and wildlife areas, and more. It also has convenient links to mobile versions of the hunting and fishing guide. 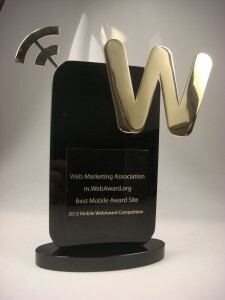 Aperto Move GmbH of Berlin Germany was named Top Interactive Agency for the 2012 international MobileWebAwards. 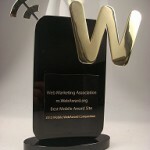 They received five awards including Best Consulting Mobile Website for AppRadar locates App Satisfaction, Best Credit Union Mobile Application for Economia – The interactive serious education economy game, Best Toy & Hobby Mobile Application for Daisy Oracle – Your free love check and Best Transportation Mobile Application for Alphaguide Mobile Car Service App. A complete list of winners can be found at the MobileWebAward’s Winner’s Page.